Vijay Devarakonda with his youthful looks and energetic performances made a powerful impact with his films Pelli Choopulu, Arjun Reddy, Mahanati, Geetha Govindam and Taxiwala. He is getting ready to entertain movie lovers with his upcoming entertainer Dear Comrade in which he is romancing Rashmika Mandanna under the direction of Bharat Kamma. He became the Genex Star with his intense performances stealing the hearts of all youngsters and female fans. Meanwhile, Vijay Devarakonda made a shocking confession saying he fell in love. 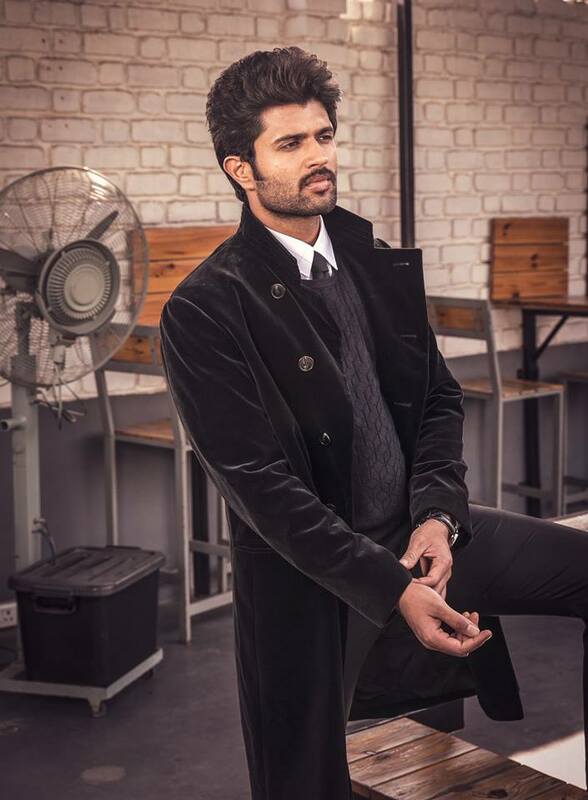 Female fans need not be heartbroken as Vijay Devarakonda did not fall in love with any beautiful girl. He fell in love with two cute girls who were seen talking about him in the video. Sharing the video he came up with the following post. Father of the girls posted, "@TheDeverakonda .. your bruises got the little girls concerned.. #DearComrade #VijayDevarakonda"
Vijay replied, "I Just fell in Love. Vijay Konda doesn't need a doctor, but he would love to meet you two. Will you?"